Please Note: Due to a basketball tournament at the high school, patrons attending Sunday’s performance are encouraged to arrive early to secure a parking spot. If seats are available, high school and college students are admitted free with student ID, younger students are free accompanied by a ticketed adult. TO PURCHASE TICKETS ONLINE, click the Ticket Tomato ticket below. Season Ticket Holders, please plan to arrive no later than 15 min. prior to the performance time to secure your seat. 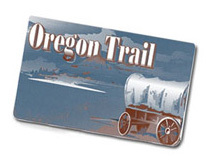 Up to two TICKETS for $5 each are available to holders of the Oregon Trail (SNAP) card. Available at the door or at ticket outlets.